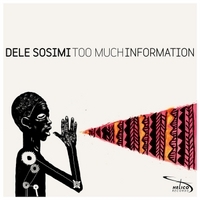 Dele Sosimi new single “TMI” OUT NOW! Come and join us at Afrobeat Vibration this Saturday to celebrate! “Join us if you can, at the New Empowering Church this Saturday the 30th of March as we raise the bar higher yet again with another marathon session of keeping the Music, Spirit and Legacy of the King of Afrobeat: Fela Anikulapo Kuti alive in London. Afrobeat Vibration Sessions 2013 series continue with another Massive Spring throwdown!!! Experience the tightest on da ground Spiritual Live Afrobeat sessions episode in an authentic Afrika Shrine style, with the opportunity to get down once again as Dele promises to raise the Afrobeat Vibration experience level again! An authentic Kalakuta style marathon live Afrobeat set awaits you, featuring some of Londons finest musicians, members of Dele Sosimi’s Afrobeat Orchestra + Guests with DJ Koichi droping heavy weight Afrobeat, Afro Funk, and Tropical Rhythms on the decks. Text names to 07944286822 for £10 advance reservation guest list.